Due to the varied types of hotels in the region and the different needs of each group, we have arranged with Travel Gallery﻿ to block rooms at hotels with reduced price points. They will be able to offer these hotels to you and provide other travel services such as coaches, guides, etc. for your stay. 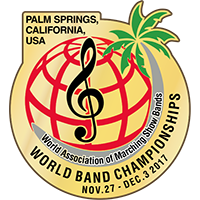 They are also available for assistance with your international or domestic travel arrangements specializing in international band and orchestra travel including visa and custom information. They will also work in conjunction with your travel operator. FRANK FISH is the President of Travel Gallery and is uniquely qualified in assisting Music Ensembles in their travel arrangements.